Ameyoko (アメ横) is a busy bazaar-style market with hundreds of stalls that runs about 400 meters besides and under the elevated track from JR Okachimachi Station to JR Ueno Station. It is famous for its jam packed stores, bargain prices and a dingy, no-frills shopping experience. 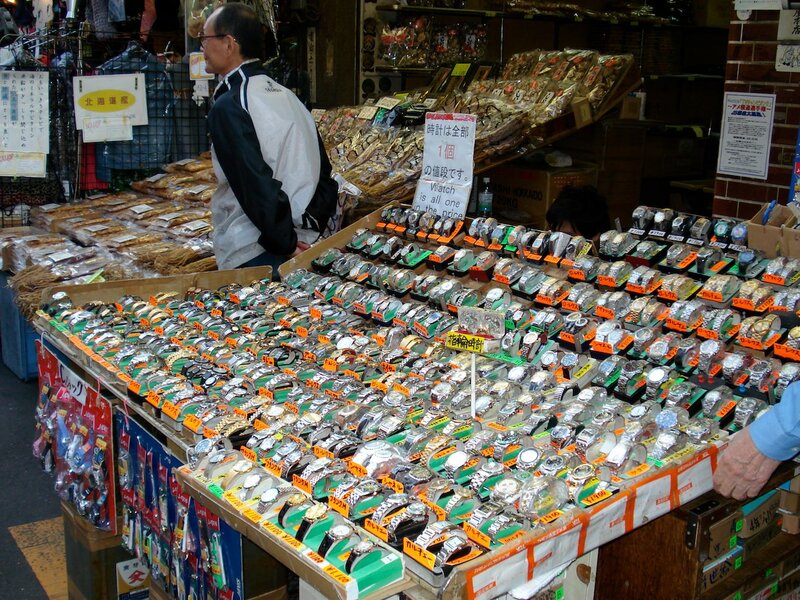 After the war, the area was one of the largest black markets in Tokyo. 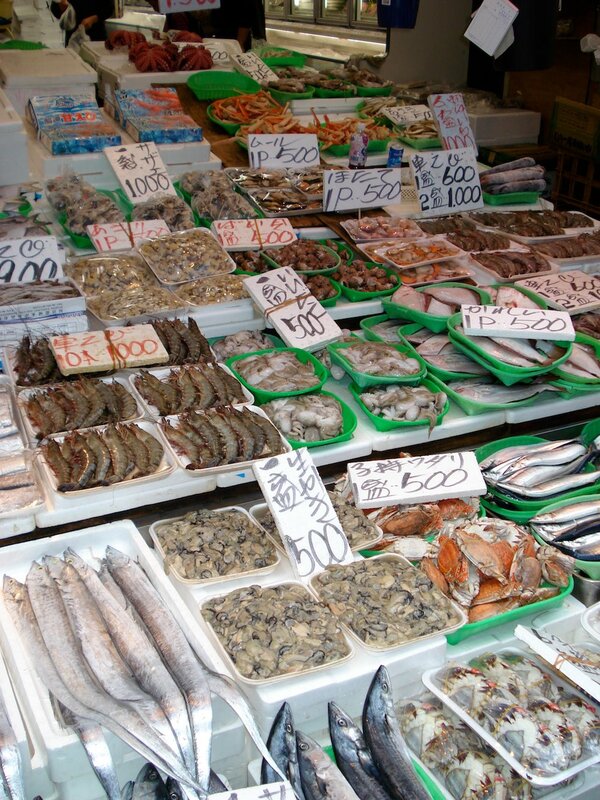 The market has continued on and today the many shops offer things like clothes, accessories, golf clubs, fresh seafood, spices and dried food. The food stalls in the heart of the market are quite popular, but, if you're looking for a snack head to the northern portion closer to JR Ueno Station. 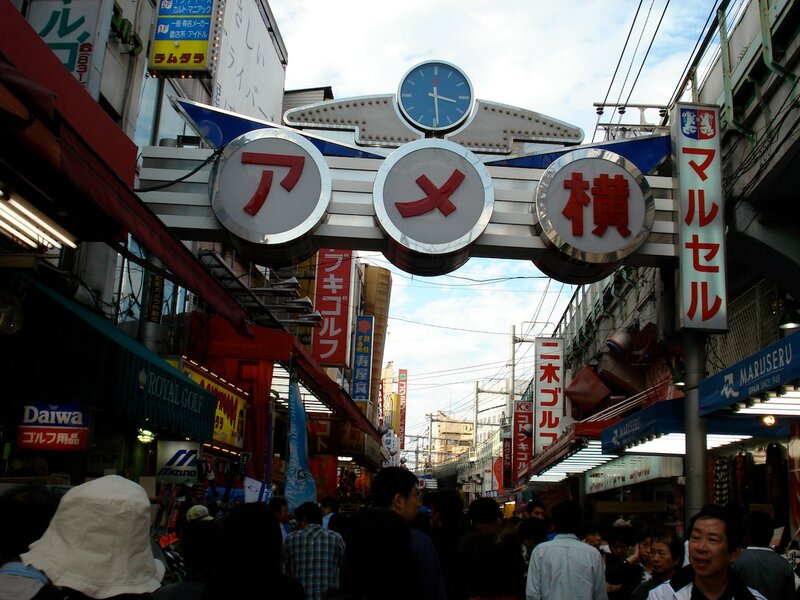 There are a number of theories about the name "Ameyoko." Lots of American goods in the old black market may explain the "Ame" or there may have been a different American connection. Alternatively, the area had many candy stores (Ameya) before being replaced by the market. "Yokocho" means alley and is where "Yoko" comes from. 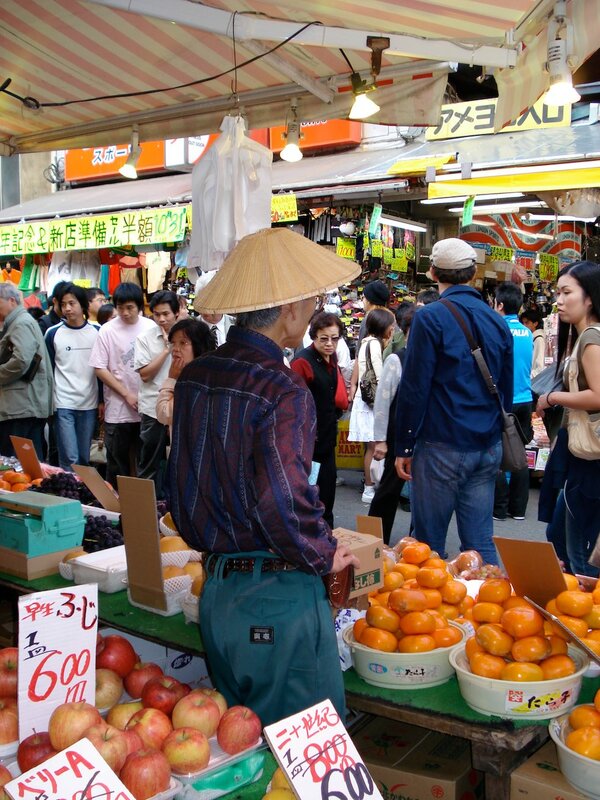 Ameyoko is one of Tokyo's many distinct shopping districts and shouldn't be missed if you're in the Ueno area. 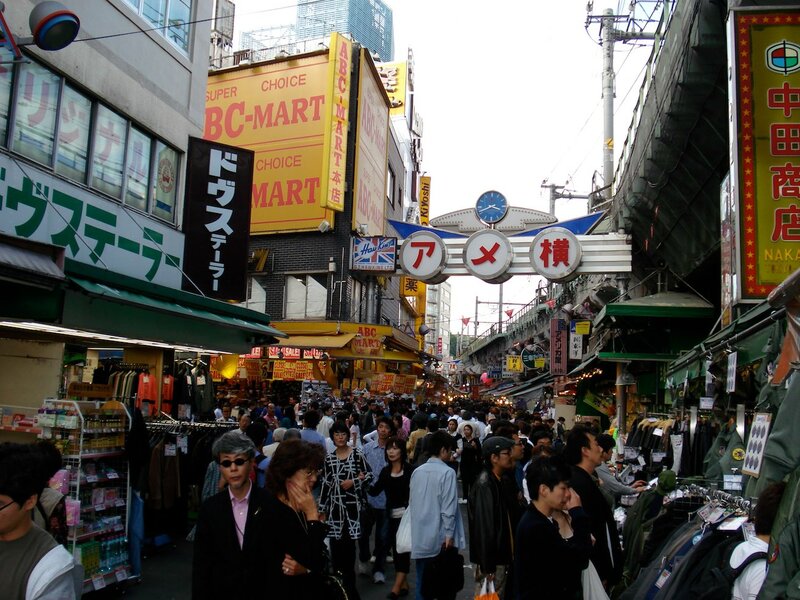 Ameyoko is located alongside and under an elevated portion of the Yamanote Line between JR Ueno Station and JR Okachimachi Station. Walking from either station to the other is just as enjoyable and will take around 20 minutes. 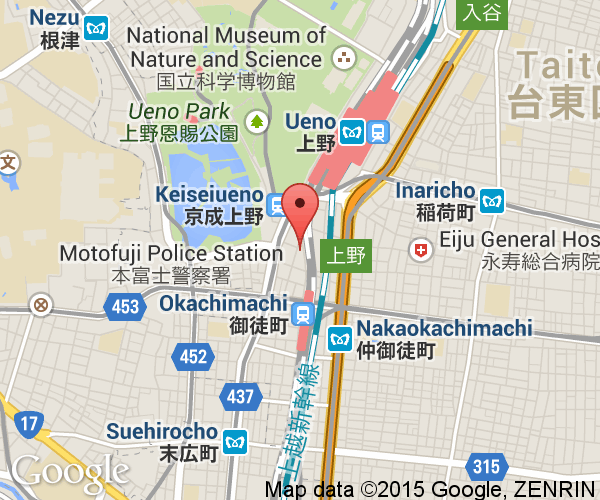 Both JR stations are on JR's Yamanote Line and can be reached from anywhere on the loop line within about 30 minutes. 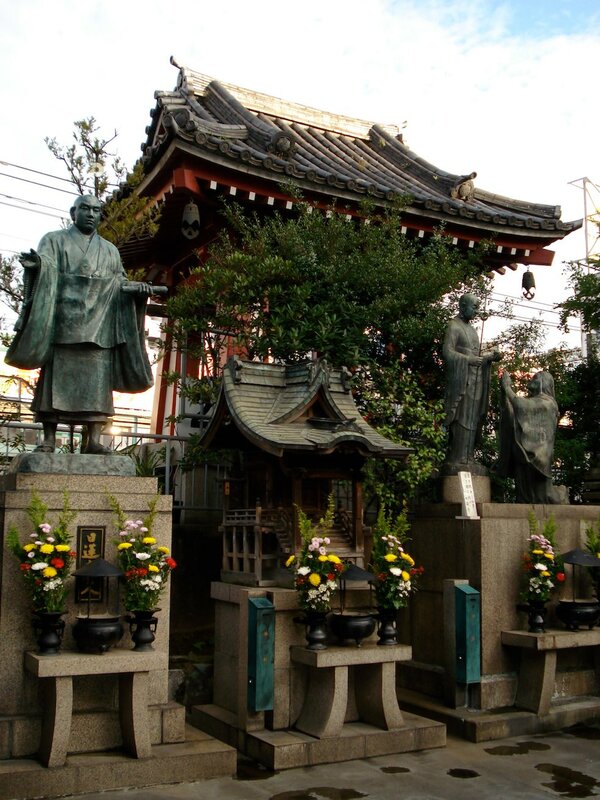 The area is also a short walk from Keisei Ueno Station (Keisei Line), Ueno-okachimachi Station (Oedo Line) and Ueno-hirokoji Station (Ginza Line). The last two are popular subway lines that extend over a central Tokyo that may be convenient if you are not close to the Yamanote Line. The street is closed to traffic and has no parking.